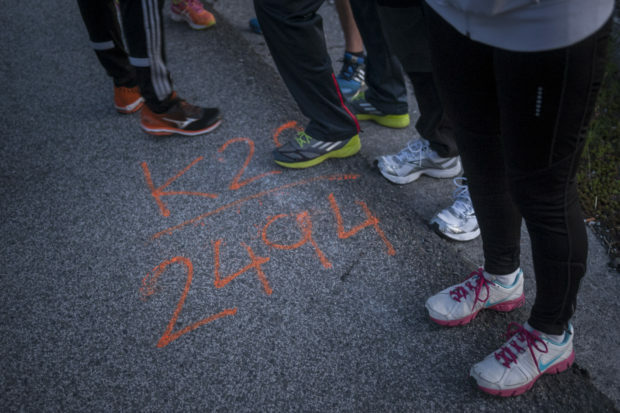 Korrika (‘Running’ in Basque) is a symbolic biannual race where participants run across the Basque Country to promote their language and encourage people to speak it; and to collect funds for Basque language teaching centres for adults. As they run, participants carry a baton which they pass from hand to hand, kilometre upon kilometre, without interruption. Its 20th edition has just taken place from March 30 to April 9. Over 11 days and 10 nights, the Korrika, went on for over 230 hours and passed through many Basque villages and cities, covering a distance of around 2200 kilometres, not stopping for a moment and with the participation of hundreds of thousands of people of all ages and conditions.Its 20th edition has just taken place from March 30 to April 9. Over 11 days and 10 nights, the Korrika, went on for over 230 hours and passed through many Basque villages and cities, covering a distance of around 2200 kilometres, not stopping for a moment and with the participation of hundreds of thousands of people of all ages and conditions. 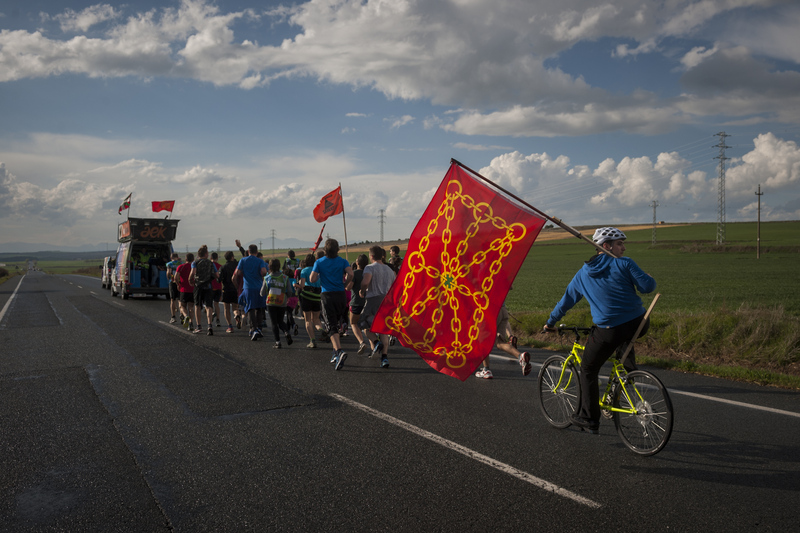 More than 2500 organisations, clubs and associations carried the baton passing it through thousands of hands, from the small town of Otxandio, where this last Korrika started, to Iruñea (Pamplona). The message held inside the baton was heard on a recording, read by Basque exiliated writter and poet Joseba Sarrionandia. The message, like all previous editions, was unknown until the last moment, and nobody knew who was. Korrika is organised by AEK, an organisation with the mission to recover Basque and revive the language among the people of the Basque Country. To achieve its objective it teaches Basque language and literacy to adults. Since the first Korrika run in 1980, from Oñati to Bilbao, this huge crowd-funding event has become one of the most important initiatives in support of the Basque language given the enormous number of people who participate in it. Participation increases every edition and thousands of people volunteer in its organisation by joining the committees set up in the different villages and neighbourhoods, while hundreds of cultural and fun activities are organised along the way. The 20th edition of Korrika payed tribute to the creators of the race, to the people who set the loved baton in motion 37 years ago and acknowledge the importance of their initiative. The initiative has also been successfully exported to other countries and due to its success other communities of lesser used languages have started to organize some similar initiatives in their own countries. In Catalonia, Ireland, Brittany, Wales, Galiza and the Valle of Aran, they run in support of their languages. More than 2,500 organisations, clubs and associations carried the baton passing it through thousands of hands, from the small town of Otxandio, where this last Korrika started on March 28, to Iruñea (Pamplona), the ultimate goal of his tour after traveling more than 2,200 kilometres around the lands where Basque is spoken. Basque language was claimed as an element of cohesion during his journey. 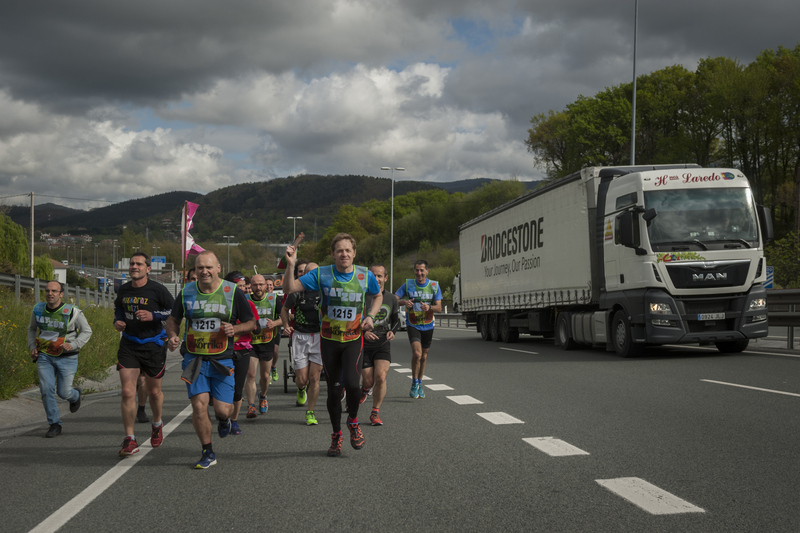 This was a fact from the very beginning of this edition, as mayors of Donostia, Bilbao, Vitoria-Gasteiz, Pamplona and Bayonne, 5 basque capitals, participate together, carring baton during the 2nd relay. This year the Korrika has had the biggest institutional support so far. Not only members of the Basque Parliament and political parties participated, but for the first time, the Parliament of Navarre supported and participated on the race. 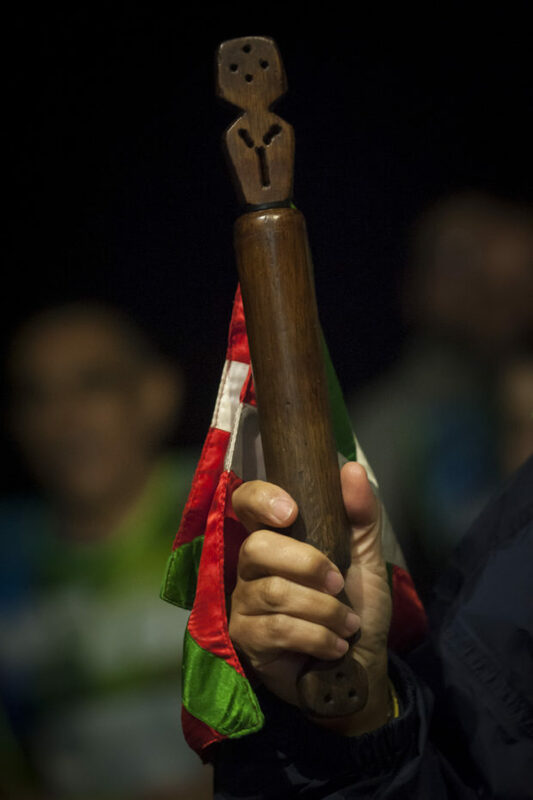 The final stage ended with a day of festive atmosphere after 11 days route The message held inside the baton was heard on a recording, read by Basque exiliated writter and poet Joseba Sarrionandia. The message, like all previous editions, was unknown until the last moment, and nobody knew who would read it. –“We have a reason: we have particular treasure with universal value, life reflects in language as it does in a mirror” said Sarrionandia, “And a damaged tongue is like a broken mirror. When a language disappears, the entire world loses a special way to see and to explain life”. He ended his speech adressing to basque speakers: “Basque is ubiquitous, but it depends on each of us. Would we keep it as if we had a treasure, concealed in a dark hole? Every morning, when getting out of bed, do you realize you can feel like a sweet drop of honey on your lips? “. Korrika spread the drops of honey throughout the Basque Country. The challenge is to continue tasting it.